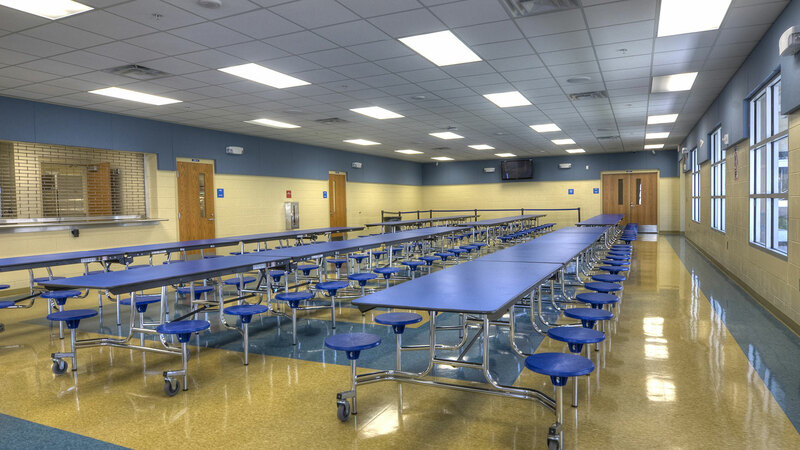 If you're simply looking to make a decision about whether fluorescent lighting is right for your space, check out our post, "What is fluorescent lighting? Pros and cons of linear fluorescents." 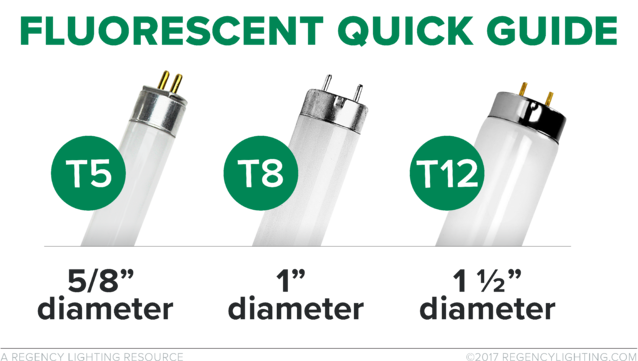 T12s are 1.5-inch diameter fluorescent tubes. These are the oldest of the fluorescent tubes and they almost always run off magnetic ballasts, which are no longer manufactured, spelling a probable end for T12s in the near future. Although we don’t see them as often along the coastal cities, they are still around in a lot of places in the midwest and heartland. Typically, you see T12s in troffers. Sometimes, you’ll find T12s in older warehouses or older hallways in apartment complexes. Finally, high-output T12s are also found in lit signage. Do you see a trend here? The common words are "typically older." They are beginning to phase out, and there are very few 1.5-inch LED tubes on the market, though there are LED replacement tubes for both T8s and T5s. If you're looking for an LED replacement for a T12, check out our article, "A plug-and-play LED replacement for T12s? Yep. Pros and cons explored." T8s are 1-inch diameter fluorescent tubes, and they are the most prevalent of all fluorescent tubes. Four-foot T8s, in particular, are used everywhere –– in hospitals, commercial office spaces, schools, retail spaces, warehouses... everywhere. T8s are energy efficient, inexpensive, and produce a lot of light (lumens). Typically you’ll find T8s in troffers. However, you’ll also see them in strip lights, some high-bay fixtures, and sometimes you'll even find them in more specialty applications, like cove lighting. Are you doing a fluorescent lighting retrofit to LED? Read about your options here. T5s are fluorescent tubes that are 5/8 of an inch in diameter. These are the newest development in the wide world of fluorescent tubes. Although they are the smallest, they are the most energy efficient and brightest. In fact, some T5s last up to 90,000 hours. Because of their energy efficiency and light output (i.e. lumen output), you see a lot of high output T5s used in warehouse fixtures. You’ll also see them in over the counter lighting, shelf lighting, or cubby lighting in retail spaces because of their compact size. Fluorescent bent lamps come in a few different options. The most common that we see is a fluorescent bent T8 with six-inch leg spacing. This lamp is almost always used in a 2 x 2 troffer. As a matter of fact, I saw these lamps used in both a hospital and an office space that I walked through while on the recent tour I mentioned. Occasionally, you’ll come across fluorescent bent lamps with a 1 and 5/8-inch leg spacing. I also saw these used in a 2 x 2 troffer on the tour, and the building actually had three lamps in each troffer, giving off a very even and full amount of light. Typically, retail spaces like department stores prefer to use 2 x 2 troffers over 2 x 4 troffers for general lighting. The 2 x 2 gives the space a cleaner look, whereas the 2 x 4 troffers could make the space feel like a commercial office. These are pretty rare. Old Navy, however, uses fluorescent circlines as decorative glowing “halos” above many of their cash register counters. The other common application in which you see circlines is “bubble” bowls. You know –– those bowls that are typically in hotel or church hallways on the ceiling? If you take them off, you’ll probably find two fluorescent circlines inside, giving the fixture an even glow. 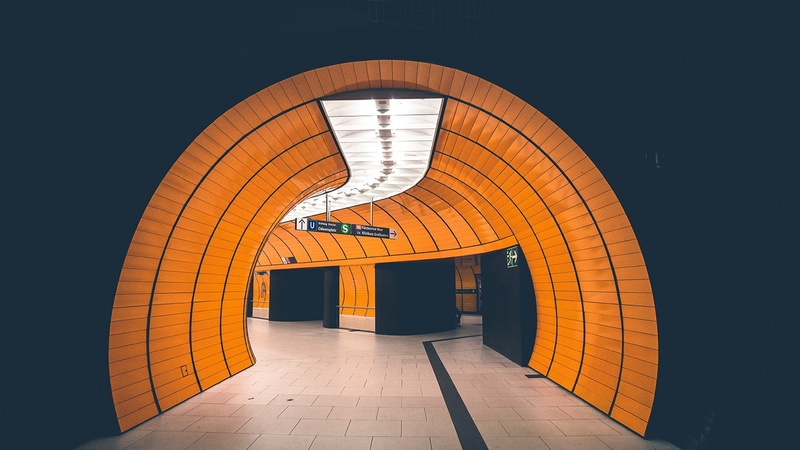 Fluorescent circline tubes are typically 1 and 1/8 of an inch in diameter. Their outside diameter (which is measuring the circle from one end to the other) comes in four options –– 6, 8, 12, and 16 inches. Where do you most commonly see fluorescents? The table below shows some common fluorescent applications according to lamp type. 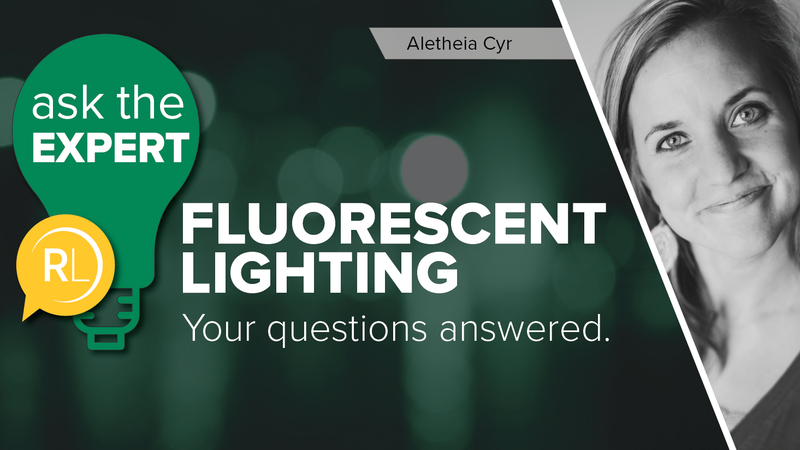 Learn more about fluorescent technology by checking out our post, "What is fluorescent lighting? 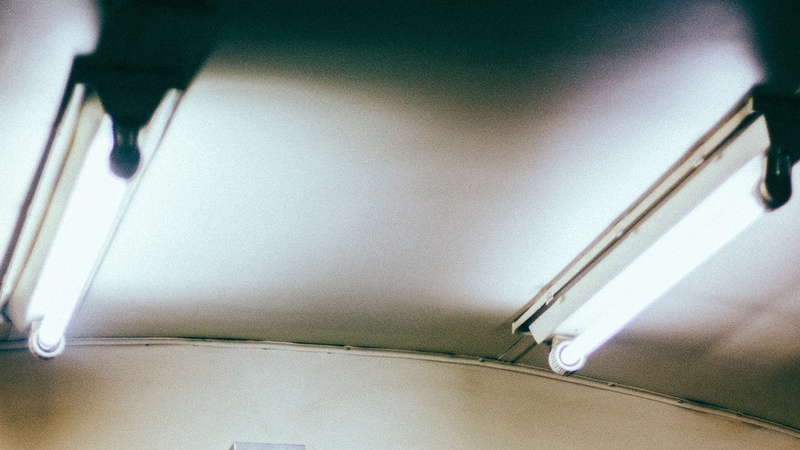 Pros and cons of linear fluorescents."